If you want to spy on WhatsApp, Viber, Skype WeChat, SnapChat, Facebook Messenger, Line and some other popular IM apps but do not have physical access to your target phone to be able to install a spy software app then our service is just what you need. 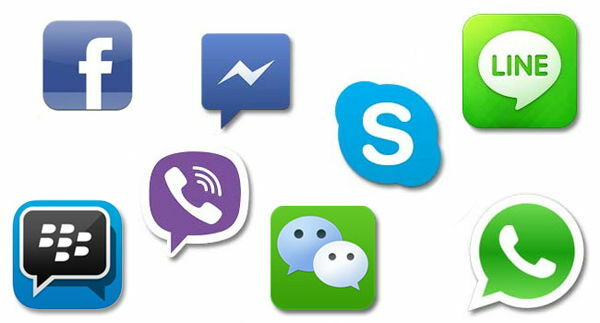 With the latest interception technology available to us, we can spy and capture chat logs from all the above instant messengers programs of almost any user around the world. The spying process is invisible to your target phone user. No need to install anything. How to order our instant messaging spy service? Please contact us first to negotiate your requirements along with the following information: messaging app name you want to monitor, how many days of data logs you require, phone number (including country code, if available) and an app username of your target. We will let you know within 1-2 business days if we are able to intercept the data of that target user. date & time stamps of chats. * Removed chat logs cannot be recovered. * All intercepted chat logs are in XLS format (Microsoft Excel). * At this time, Stickers and Shared location sent/received via instant messaging programs cannot be captured by our service. * Once you confirm the delivery of your order, we will erase our copy of your order immediately. Therefore, if you accidently delete the order we will be unable to help you to recover it. Ready to order our Instant Messages Spy service? Need to monitor someone’s live phone conversations? We offer call eavesdropping service of almost any live GSM cellular phone in many countries in the world. Passive interception, undetectable by the target user or network operator. The service is fully anonymous. Click here for more detailed information. A modified version of Android Nexus 6 which allows to locate and intercept GSM cellular calls in real time within up to 200 feet range. The interceptor works in passive mode. Operation is completely undetectable. Up to 2 calls recording sessions simultaneously. Comes with A5/1 & A5/2 deciphering software. Detailed information here.